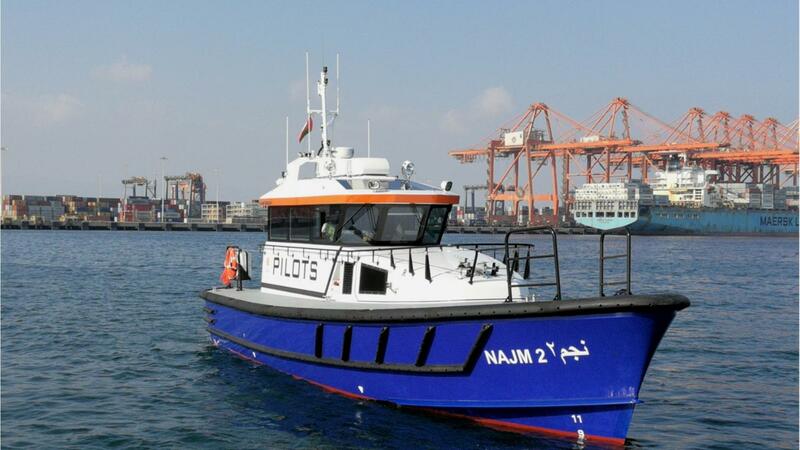 The commissioning of a state-of-the-art pilot boat has underlined the Port of Salalah’s long-term commitment to its operations in Oman, the firm’s chief executive has said. Najm 2, a high-speed vessel fitted with a cutting-edge navigation system, became operational at the port this month. Manufactured by Damen Shipyard in Antalya, Turkey, it also features special propeller tunnels designed to increase propulsion efficiency while reducing draft, vibration and noise levels. The new vessel will work alongside an existing pilot boat, Najm 1, handling marine operations at the port. Najm means “star” in Arabic, with the name drawing inspiration from the traditional use of stars for vessel navigation. According to Andrew Dawes, the Port of Salalah’s chief executive, the arrival of this latest vessel represents another step in the business’ long-term equipment renewal and deployment strategy. He said: “The induction of this new state of the art pilot boat coming shortly after the recent commissioning of the tug underlines our long term commitment to the business in Salalah. “These equipment are part of the initial stages of the execution of the long term equipment renewal and deployment plan developed by the port to proactively address the evolving changes in the shipping industry, customer and vessel profile. Operated by APM Terminals, the Port of Salalah has a container terminal and a general cargo terminal. Last year, both handled record volumes, with increases of 18.7 per cent and 4.2 per cent respectively. The Port of Salalah is the largest private sector employer in the Dhofar Governorate and the business has a long-standing commitment to develop and train local Omani talent. As a result, the entire pilot boat crew are Omani, having been trained and certified to operate these vessels.